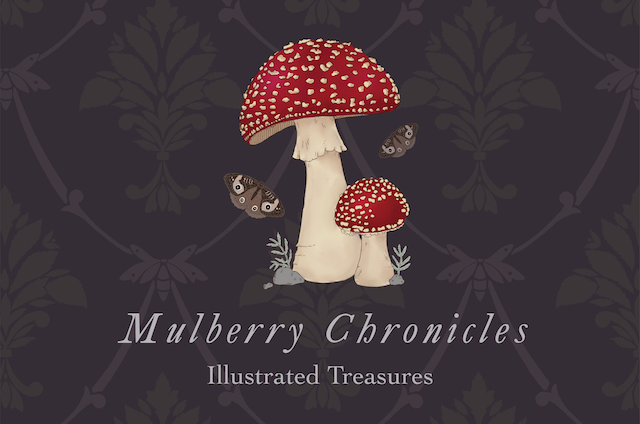 Dear Readers, incase you missed our e-mail newsletter, we are releasing the final instalment of the Woodland Path series dresses by Mulberry Chronicles arriving 9am AEDT, Wednesday October 7. 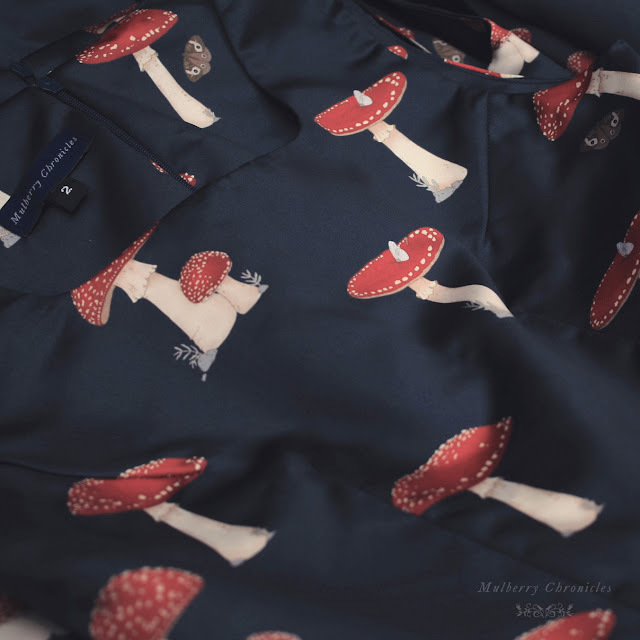 The Woodland Path "London Edition" Jumperskirt features toadstools and moths that follow a mysterious woodland path. The versatile deep navy colourway allows for a cute "Forest Maiden" look when paired with red but also matches cream, bordeaux, white, moss green and black for a range of looks for woodland wanderers. Can accommodate a light petticoat. Matching forest treasure brooches will be restocked as well as a last chance at some designs. Mulberry Chronicles' Instagram also has a few cute coordination ideas by the design team and Mulberry Chronicles Readers from around the world! Thankyou so much for your ongoing support. We look forward to seeing you tomorrow, October 7 2015, 9am AEDT.